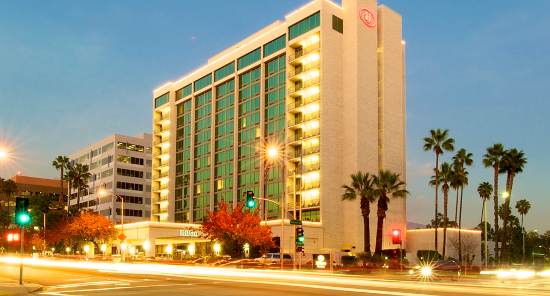 LayerOne 2019 will be held at the Pasadena Hilton in Pasadena, CA on May 24-26, 2019. If you’re not attending a training, the effective conference dates are May 25-26, 2019. For those of you flying in, the closest airport is the Hollywood/Burbank (“Bob Hope”) International Airport (BUR). Book your room with the discounted conference rate! Offer ends May 10, 2019. At our perfectly-located Pasadena hotel, the Hilton Pasadena offers accessibility to the city’s best attractions. Stroll to Old Pasadena, only minutes from the hotel with a wide range of shopping, sight-seeing, dining and entertainment options. Swim lengths in the sparkling pool and recharge in our fitness center. Enjoy our on-site dining, perfect for private receptions with an impeccable dining experience. Training Spotlight: Red Teaming as a Service! https://t.co/ZItcheSuh1 Book your training NOW to save $! Copyright © 2019 LayerOne 2019. All Rights Reserved. Subscribe to my RSS Feed.